Do you know the development of pcb design software? Keep reading to find out more. PCB design software markets suffer from a lack of attention and being overshadowed by the more popular computer aided engineering market. The market has to accept the fact that it’s performance over the past two years was lackluster. However, it seems that the hibernation period is over. One area that analytics companies such as Dataquest identified is the growth of PCB’s physical analytics tools. We’ll examine the market, show some potential reasons of short term growth, and give advice on how to find good PCB software. In 1999 and 2000, thAcquisitionsere was a significant merger activity within the PCB activity. It’s interesting to know the nature of the activity that happened. Note that both VeriBest and PADS the two PCB software vendor that has been acquired. The market is top heavy. For instance, its top three companies owning 60% of the market revenue. Interestingly, the market has been divided into Europe and North America by Cadence Mentor. Zuken was dominated Japan while this occurred. Useful Features: A lot of programs have design features under the sun, but is this useful. If we’re being honest, not really. Determine your project needs up front and find a program that can service them. A feature-rich program might lag due to having too many apps to be launched. Limit the risk with new design software programs, and get a platform that’s been accepted by veterans. There are new platforms that are created and deployed every day – and no project is worth the risk of trying a newer system. Large components of libraries are very important to PCB designers. This is because making new ones can lead to errors that aren’t captured by your program’s verification tools. The larger the library, the smaller the chance of error. This results in making the code more reliable for your design engineer. 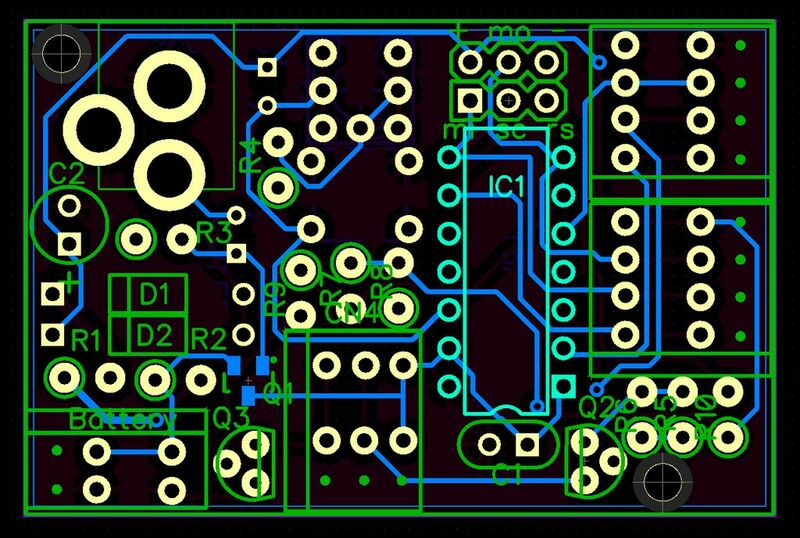 The best pcb design software needs to have a simple user interface, and be easy to learn. Your design engineer shouldn’t spend time reading a manual or how to use the program. Nor should they spend their time looking for design tools, components library, etc. This table below explains the most popular PCB software that’s available. Design Spark PCB Design Spark PCB is one of the most easily accessible and popular design software platforms. And for a good reason — it’s easy to learn and use. The software is constantly updated to order to assist in production/assist the designer. Easily improve layouts, capture schematics, and more, all with this program. Express PCB If you’re just getting started with designing printed circuit boards, then Express PCB is a great start. It’s a simple design platform, both in knowing the components of the system and for using it on a daily basis. While it might not have a large library or some of its features are dated, its best for completing smaller projects. PCB Web Designer For the semi-professional design engineer, PCB Web Designer is a good program to try out. And the program has a Digi Key parts catalog with an included bill manager, which helps getting the necessary components seamless. Basically, PCB design software has shown signs of growth. Plus, there are a few software pieces available if you’re interested in getting started. Conclusively, use the software to help you make simple design schematics and improve the results of your engineering projects.